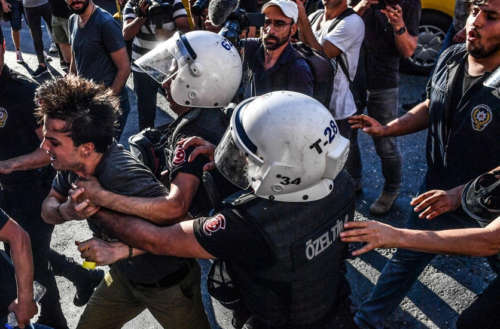 Turkish police violently clashed with almost 1,000 LGBTQ activists on Sunday in Istanbul, using rubber bullets and tear gas to disperse the crowd, according to international media reports. 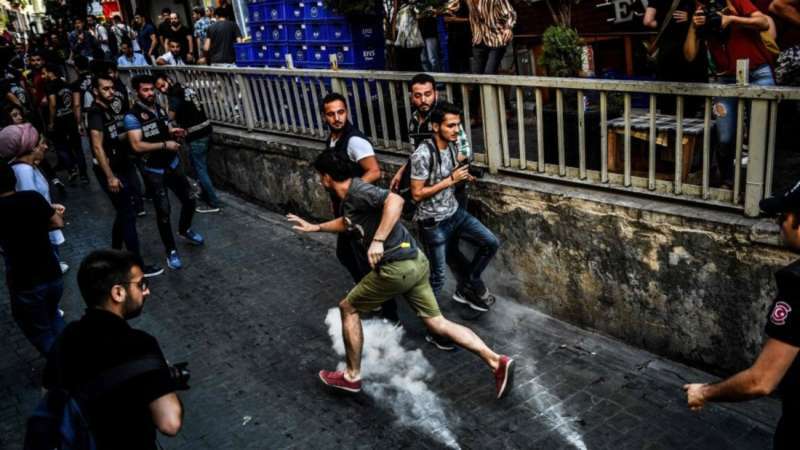 The city’s governor had banned the Istanbul Pride March from happening there for the fourth year in a row, citing security reasons and public “sensitivities” as grounds. The Istanbul Pride March was once considered a shining example of tolerance for the LGBTQ community in the Muslim world. Prior to 2015, Turkish authorities had allowed pride marches to take place since the first in 2003. As many as 100,000 people attended Istanbul Pride in 2014. 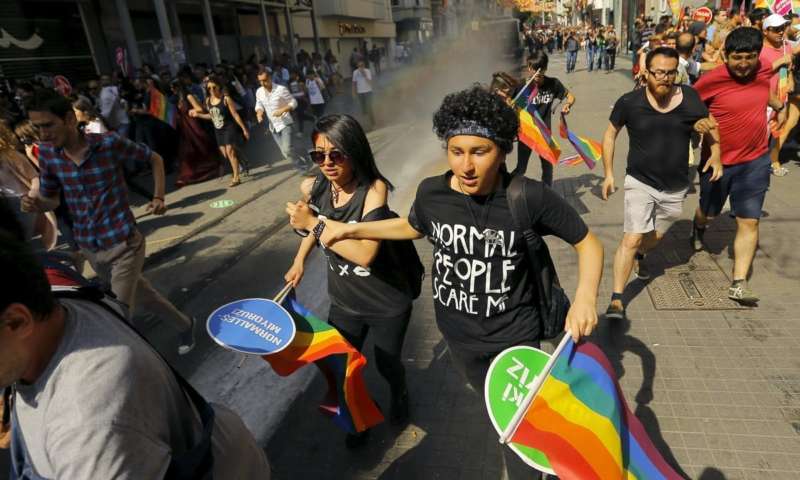 Even though the Istanbul Pride March had been banned, activists decided to carry on with the activities that surround Pride Week there, and work towards mounting a peaceful demonstration to raise LGBTQ visibility. Although homosexuality and being transgender are not illegal in Turkey, LGBTQ people face discrimination and hate crimes. Turkey’s official Anadolu news agency said “an estimated 20 people” were detained. 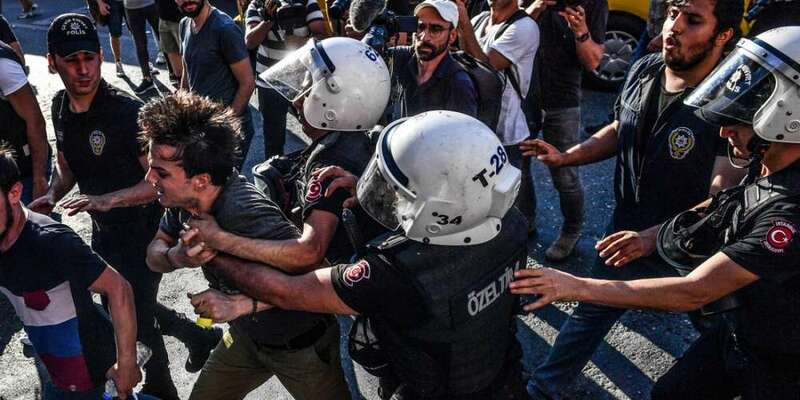 Amnesty International in Turkey is reporting that 11 people were detained. What is your response to the violence at the Istanbul Pride March?